When solving a math problem or chemistry equation sometimes the only option is to plug in values and see if it works via trial and error. 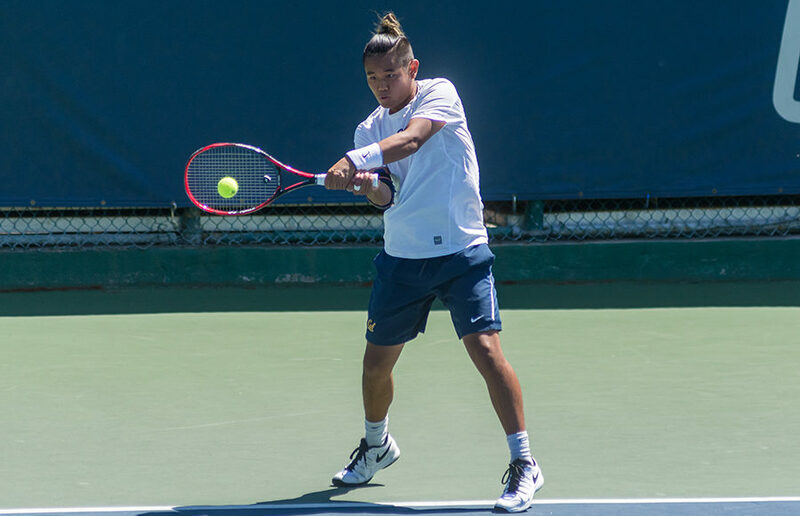 Cal men’s tennis head coach Peter Wright seems to be taking the same approach this weekend at the ITA Fall Regional Championships in Stockton when it comes to his team’s doubles pairings. Based on players performances at regionals, there is the opportunity to advance to the ITA Fall National Championship, where the nation’s best players will gather to culminate the off-season. Although it only accounts for one point in the dual match format often seen in spring play, doubles play can make or break a team. For the Bears, the addition of seven new players means that pairings are undetermined and spots in the lineups are up for grabs. Fall tournaments allow players to get extended doubles match play, as they play multiple rounds and longer sets. Wright is taking things one step at a time this upcoming weekend as there is uncertainty of what player pairings will maximize the team’s success. Not all pairings work, and it takes time and bouts of trial and error to figure out the optimal lineup for the Bears. Whether there is success or failure, it is a risk that Wright is willing to take. A risk that also could reap benefits later into the spring season. The Bears take a cautionary approach into the weekend, as some of the players have minor injuries that they want to manage well before the start of the spring regular season. Senior J.T. Nishimura will be entered only in the doubles draw this weekend. Seniors Billy Griffith and Nishimura are seeded first in the doubles draw and have excelled as partners for the Bears this fall. After each of their respective partners graduated last spring, it was a toss up to see if putting Griffith and Nishimura together would be viable. Last week, the duo made it to the consolation quarterfinals of the ITA All-American Championships. Griffith is also the top seed in the singles draw and will be joined by younger teammates freshmen Jack Molloy and Can Kaya and sophomores Dominic Barretto and Bjorn Hoffmann for the chance to make a run to nationals. The stakes are high, but Wright does not want his team to feel that way. It is the preseason after all, and each tournament, each set, each point can only be seen as a learning experience and an opportunity to improve for the spring. It will be seen this weekend in Stockton whether the perfect fit is found to solve this doubles problem.